Rep. Sheila Jackson Lee introduced legislation this week that would force Mexico to pay for the Trump border wall. So, Democrats are now at least talking about the wall. 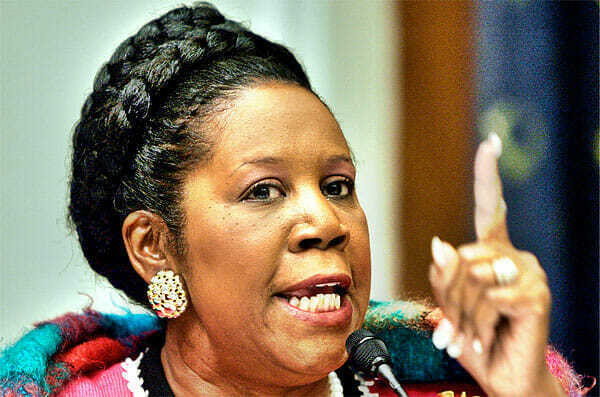 Rep. Sheila Jackson Lee (D-TX) introduced a bill without much fanfare in December that would block taxpayer funding for a border wall on the U.S./Mexico border and instead would require Mexico to foot the bill. No taxpayer funds may be obligated or expended to build a wall or barrier intended to impede travel between Mexico and the United States. Any wall or barrier described in subsection (a) that is proposed to be built shall be paid for using funds provided by the Government of Mexico. Securing The Southern Border —The Secretary of Homeland Security shall take such actions as may be necessary to secure the southern border by making maximum effective utilization of technology and improved training of U.S. Custom and Border Protection agents and officers. Increase In Immigration Judges—The Attorney General may appoint 100 additional immigration judges in addition to immigration judges currently serving as of the date of the enactment of this Act. President Trump should take the Democrats up on this. Mexicans sent home $26.1 billion from January to November 2017, according to figures released Tuesday by the central bank of Mexico, according to CNN.com. If Trump taxed this transfer of wealth to Mexico he would pay for the wall in no time! Democrats like to tax everything — Maybe they’ll go along with it.